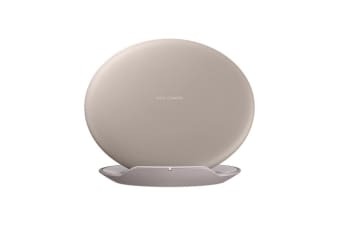 This wireless charger stand can be positioned both as a pad and a stand, allowing you to continue using it horizontally or vertically as it charges. Lightweight and elegantly designed, the Samsung Convertible Wireless Charger Stand is easy to carry around and set up wherever you wish. 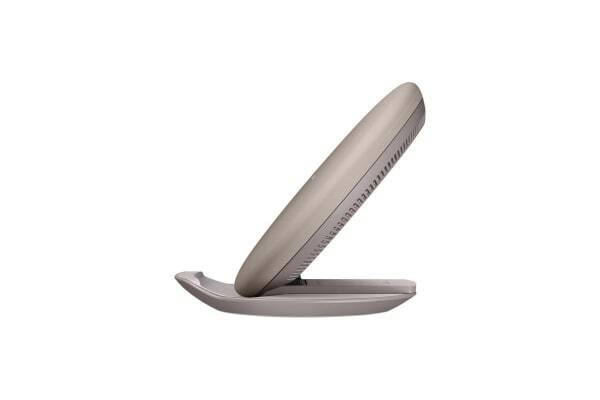 Simply place Qi-enabled smartphone on top of the charger to enjoy wireless charging – or convert it into a stand so that you can keep using it as it charges. *To take advantage of the Fast Charge functionality, please note that this product is intended to be used with the Fast Charging AC adaptor and USB-C cable that are included with the Samsung Galaxy S8 and Note 8. These parts can also be purchased separately. *Wireless Fast Charging is not available on all phones. Please check if your smartphone is equipped with a fast charging feature.